Top Quality!! Xtuga RW2080 In Ear Monitor System 2 Channel 2/4/6/8/10 Bodypack Monitoring with in earphone wireless SR2050 Type! (only transmitter) by Xtuga at IGWT. Hurry! Limited time offer. Offer valid only while supplies last. 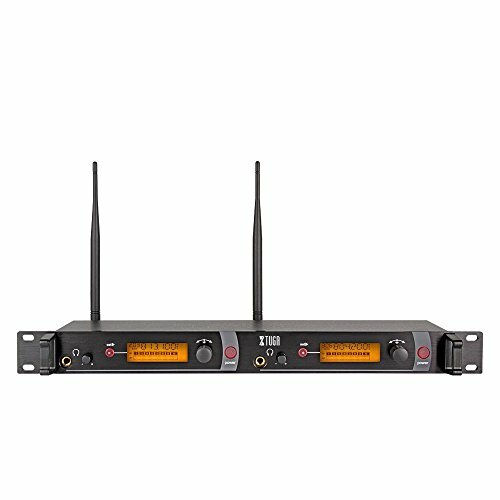 Rocket Audio -RW2080 IEM (1 x Bodypack receiver) WHOLE METAL UHF WIRELESS In Ear Monitor SYSTEM This system comply with new FCC frequency rules.